In this "On the Bench" video we examine Akro-Mils Indicator™ Bins. Part of the BinTelligence™ Series, Indicator Bins offer a quick, visual solution for 5S process and other Lean inventory control initiatives. These two-toned bins are easy to use allowing users to "Stock, Pick, Flip, and Replenish." You can learn more about Indicator Bins in our previous blog article and on our website. O.C. White has named Q Source, Inc. an O.C. White Green-Lite™ Preferred Partner. 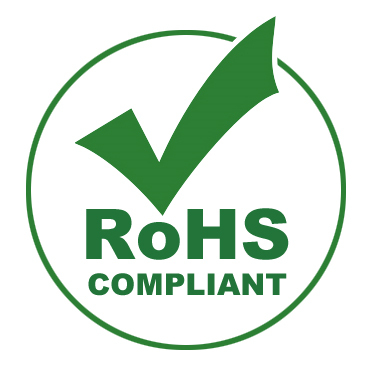 Q Source is proud to be one of thirteen companies in the U.S. to achieve this status. 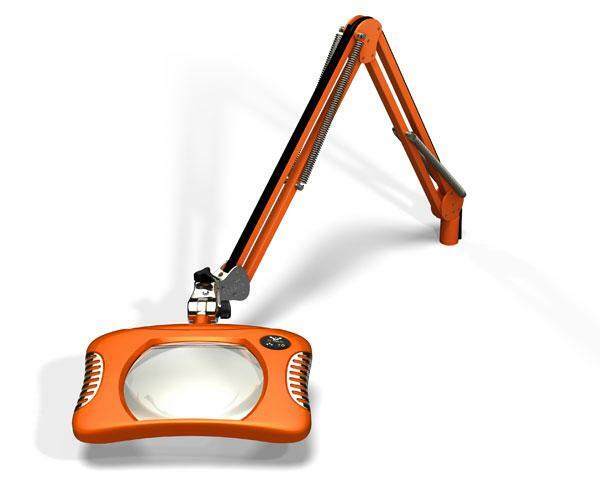 The Green-Lite series of illuminated magnifiers feature the newest lighting technology, unrivaled energy savings, and are ESD-safe and RoHS compliant. Green-Lite employ next generation "surface mount" LEDs that produce more light with less glare, consume less power, and last longer. Founded in 1883, O.C. White is a leading supplier of industrial lighting products and microphone arms worldwide. They design products to provide customers with maximum comfort and utility. 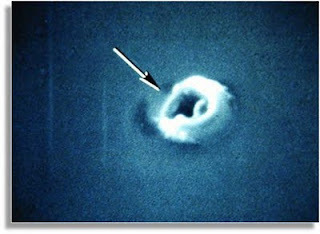 QSource.com offers the complete selection of O.C. White Green-Lite products in our O.C. White Green-Lite Store. Simco-Ion's TargetBlower is an in-tool ionizing blower designed to control static charge in near-critical environments. With a ±5V or better balance, the Model 6202e meets the requirements for manufacturing Class 0 (Charged Device Model) devices. 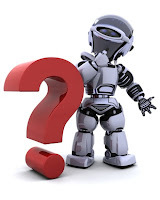 It is ideally suited for applications such as backend semiconductor manufacturing and hard disk drive manufacturing. Unique Space-saving Design: No other ionizing blower looks like the TargetBlower. The TargetBlower's design improves its function as its collimated chassis directs the ions to the application area. 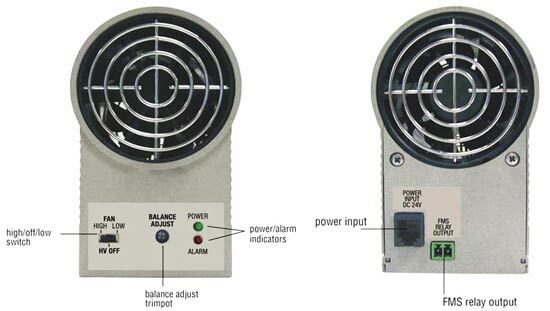 Balance Adjust Trimpot: As the environmental conditions change in the application area, the TargetBlower can be optimized using the balance adjustment trimpot. Thin Filament Emitter Wire: The TargetBlower features a thin-filament emitter wire mounted in a circular configuration that generates a flowing stream of ions toward the application area. 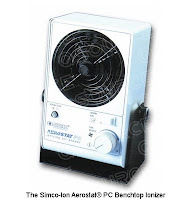 Self-Cleaning Ionization System: The TargetBlower's microprocessor automatically operates upon power on and every seven days when the ionizer is continuously turned on. The wire is cleaned with a swiping mechanism. Ionization is not stopped at this time. Alarm: Indicates HVPS failure and loss of ionization. FMS Output: Relay connector allows Facility Monitoring System (FMS) connection to the tool or to a remote location. 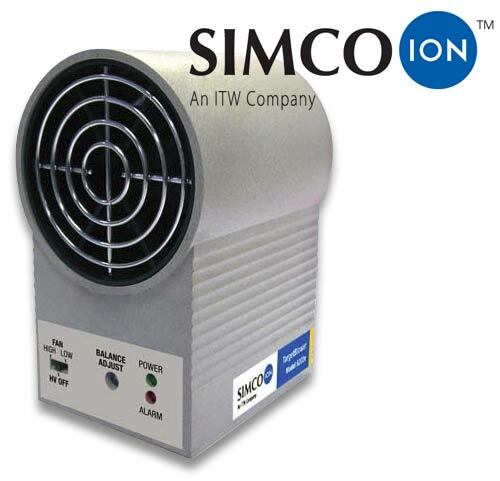 The Model 6202e can also be used as a benchtop air ionizer with Simco-Ion's optional 14-21108 24 VDC external power supply. For more information, or to order the TargetBlower Model 6202e 5V Ionizing Blower, please visit QSource.com or call 800-966-6020. 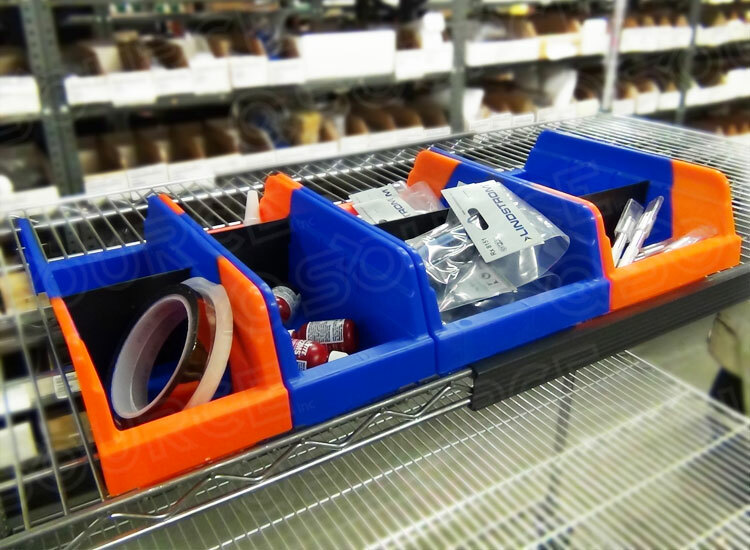 Whether you follow an organizational process like 5S Lean, or are just seeking a way to create fast, efficient inventory control, Akro-Mils' Indicator™ Bins offer a quick, visual solution. Indicator Bins are part of Akro-Mils' BinTelligence™ Series, "an innovative, low-cost alternative to high-end inventory control systems." 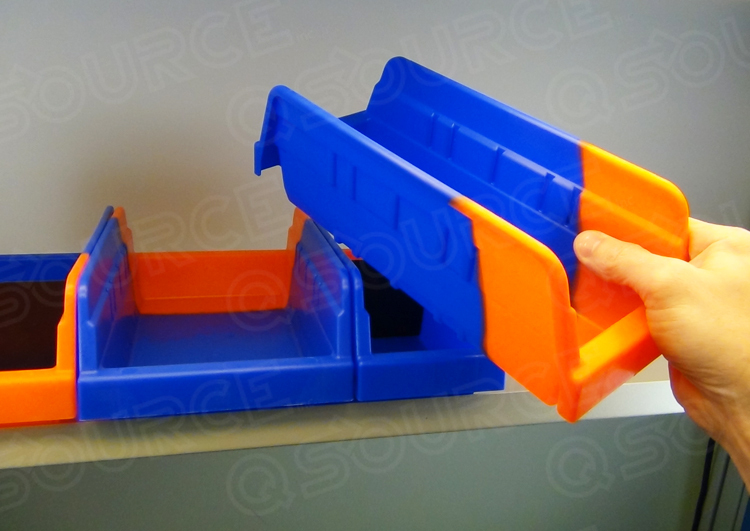 Featuring the unique two-color design (blue on one side, orange on the other), these polypropylene Indicator Bins are currently available in two sizes (4.25" and 6.75") with corresponding divider sizes available separately. Additional sizes are being considered for a future release. 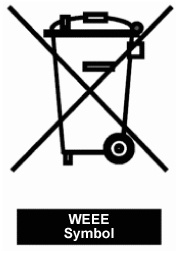 "The Indicator Bin simplifies visual recognition when your supplies need to be replenished. An innovative and low-cost alternative to high-end inventory control systems," Thomas Memmen, Mid-Atlantic Regional Sales Manager, Akro-Mils, Inc.
To order, or learn more about, Akro-Mils Indicator Bins please visit the QSource.com Akro-Mils Web page or call our helpful experts at 800-966-6020. 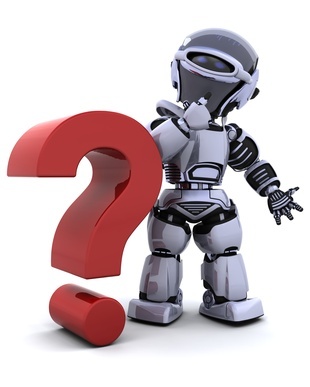 Q Source is your resource for organizational tools, inventory control solutions, material handling, and Lean initiatives such as 5S Lean. 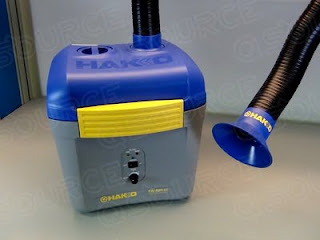 In this new "On the Bench" video we preview the soon-to-be-released FX-8804-CK from Hakko. The Hakko FX-8804-CK Hot Tweezer kit is one of the first major add-ons for the FX-888 Soldering Station. 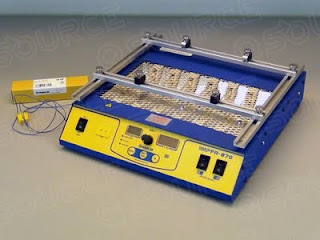 It is very similar to the Hakko 950-CK and expands the range of soldering options for the FX-888. 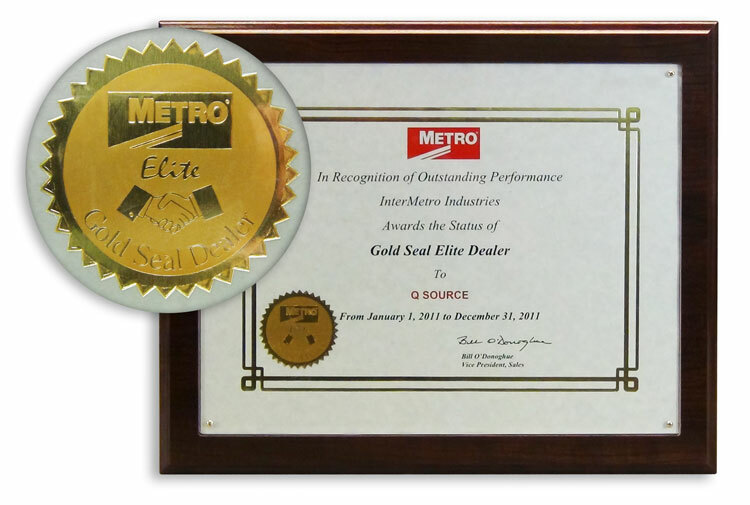 Q Source is proud to announce it has been awarded the status of Gold Seal Elite Dealer for InterMetro Industries (Metro) for 2011. "InterMetro Industries Corporation is proud to welcome [Q Source, Inc.] and [the Q Source] team into the 2011 Gold Seal Elite Dealer Program. Your entry into this program serves as a testimonial to the effort, dedication, and professionalism which you and your team have exhibited promoting and selling Metro products." InterMetro (Metro) is the leader in storage and transport products in the Food Service, Commercial Products and Healthcare Industries. InterMetro is a division of Emerson Electric Corporation. QSource.com offers a wide selection of Metro products and features an extensive collection of items in our Metro Wire Shelving Department. American Hakko Products (Hakko) announced the FX-8804-CK Hot Tweezer Upgrade Kit as one of the first major add-ons for the FX-888 Soldering Station. Also available as individual parts, the kit contains the FX-8804 Hot Tweezers, FH-800 Tweezer Holder, the A1378 Tip, the A1559 Cleaning Sponge, and a Tip Alignment Block. All items will be available in a forthcoming release and can be pre-ordered from the QSource.com site. 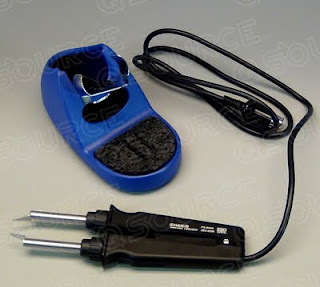 The Hakko FX-8804-CK Hot Tweezer Kit resembles Hakko's 950-CK Hot Tweezer Kit, but the Tweezer Holder features the same blue color of the FX-888 Soldering Station and the unit has the proper connection and heaters for the FX-888. The FX-8804-CK Kit provides the FX-888 with the option for adding SMT repair and the ability to rework passive devices right out of the box using a variety of optional tip sets for a range of active SMT device repair. The Q Source Resource will have more in-depth information about the FX-8804-CK Hot Tweezer Upgrade Kit in the coming days. 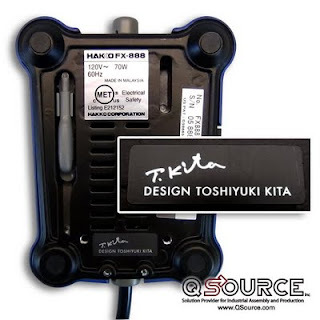 The Q Source YouTube Channel will also feature videos about this new add-on for the Hakko FX-888 Soldering Station.